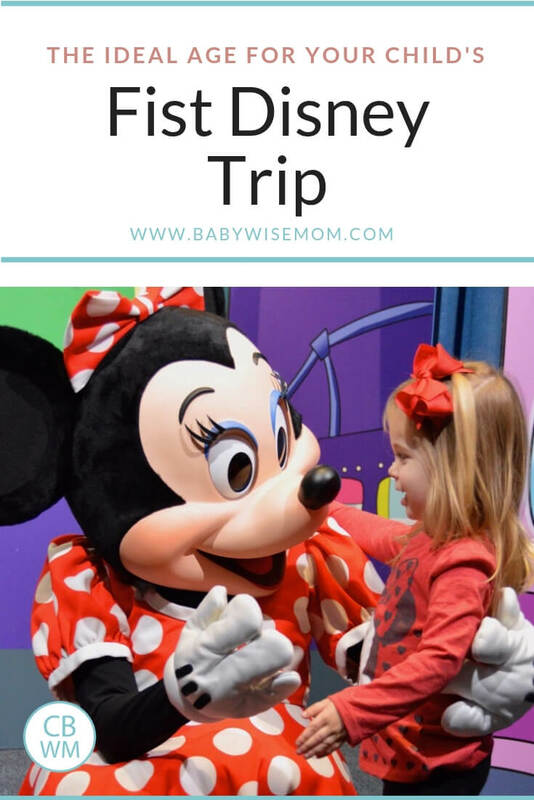 The Best Age for a Child’s First Disney Trip. What age is best age for the first visit to Disney? Factors to consider when deciding when to take your child for the first time. Disney is expensive. It’s not an easy-to-plan trip and it’s also not a relaxing vacation by any means. A trip to Disney will leave you broke and exhausted and feeling like you need a vacation after your vacation! But it will also leave you with magical moments to literally last a lifetime. When planning any sort of family travel, expense is always something to consider. But especially when planning a trip as costly as a Disney trip. A big way to save costs on a Disney vacation is to take a child when they are under the age of three. If you’re child is already over the age of three then the other age to keep in mind is age 10. Once a child turns 10 they are considered an adult at Disney. Adult ticket prices, adult meal pricing for the set priced meals. This is a large added expense so if you’re unable to visit the parks before your child turns 3, be sure to make their first visit prior to age 10! While this isn’t really a concern when you only have one child, if you’re taking multiple children to Disney it can be tricky when several may be under age seven. In our family we have only one child over age 7 so that child is always having to ride solo for attractions. While he doesn’t mind riding solo, it does take away from the family experience since neither parent is able to sit with him because we have to be sitting with the other younger children. Parents have differing opinions on what ages are the easiest for traveling. 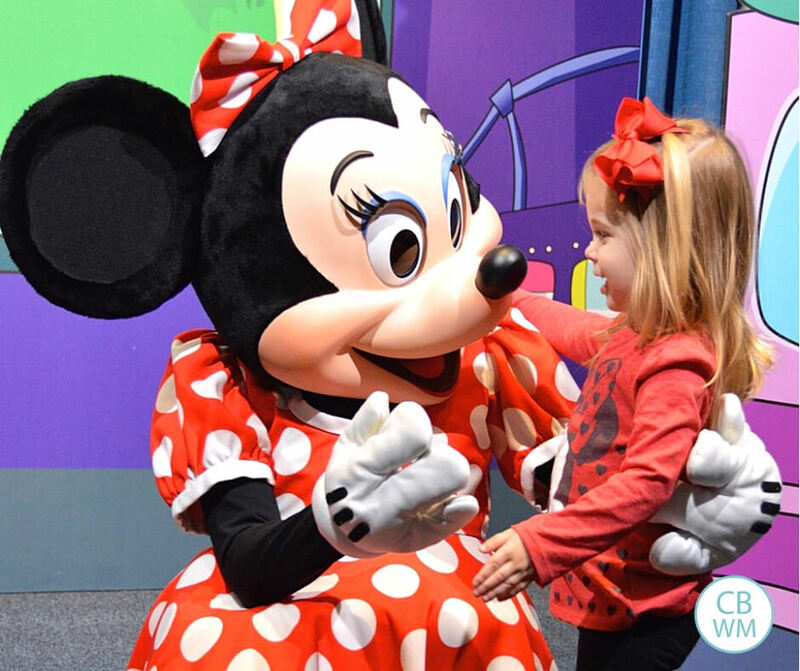 When considering specially traveling to Disney it’s important to keep in mind how well the child can handle being pushed for a full day at the theme parks. If they are able to be flexible with bedtimes and nap times or able to skip naps etc. I’m a 33 year old adult and I still get downright giddy about meeting Mickey Mouse. But realistically there is a shift in children at a certain point. Where they stop believing that it is Mickey Mouse and start more potential eye rolling and less fun interactions when it comes to characters. As a parent there is nothing more magical at Disney than seeing that pure joy in your child’s eyes. Watching them soak in all the details of the parks and to truly believe with all of their hearts in all the little elements that make Disney so special. Don’t get me wrong…older children still LOVE Disney and I still make many magical memories with my nine year old son. But it is just different then when he was 4 and would hug characters like he never wanted to let go. Everyone has their own opinions regarding that ideal first visit age. For our family, I knew we’d have more than one visit to the parks so I was able to base the age of my children’s first visits off of just that one visit and didn’t have to consider it being an only visit or a rare visit since I knew we’d visit yearly! In my personal opinion I found 2 ½ to be the perfect first visit age for our children. I potty train my children young (you can read my posts on potty training here!) and at 2 ½ they are fully trained and able to hold it long enough to not have to make mad dashes to the potty or be overly worried about accidents. 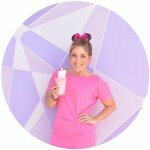 Planning a trip to Disney World in Florida? My family recently purchased a 6 bedroom, 4.5 bathroom home less than 3 miles from Walt Disney World and offer a significant discount for blog readers. You can see more about the home and how to book with the discount here! Emily is a mother of four and blogs at www.journeyofparenthood.com. She considers Disney World her happiest place and visits as often as possible! Be sure to follow all of their family adventures on Instagram.